TACARM, provider of unique body armor today announced that its President will receive a patent for the Ballistic Elbow Guard TM and Ballistic Knee Guard TM. “This is a proud achievement for our company as it will enable TACARM to provide these to US military and law enforcement personnel without competition for the next 15 years,” said Matthew Sonner. Tactical knee and elbow pads made by other domestic and foreign manufacturers do not provide any ballistic coverage. “While serving in Iraq in 2004, I recognized that military and law enforcement personnel would suffer fewer wounds if equipped with knee and elbow pads that provide ballistic protection,” said Mr. Sonner. TACARM’s knee and elbow pads provide various levels of ballistic protection based on the needs of the user. Military personnel that wear gear for days at a time have the option of less ballistic protection such as level IIA. Tactical law enforcement officers conducting a quick raid can deploy with knee and elbow pads rated at level IIIA. “Unprotected knees and elbows are especially vulnerable to permanent damage when penetrated by high velocity bomb fragments or pistol rounds. My invention is designed to stop many penetration wounds and also the rapid blood loss that can lead to death on the battlefield”, said Mr. Sonner. Upon returning from Iraq, Mr. Sonner applied for a patent with the U.S. Patent and Trademark Office. “The patent process is slow, expensive and not friendly to independent inventors. 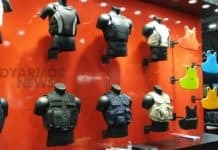 I realized early on that legal protection would be critical to establishing a successful body armor company based on these products”, said Mr. Sonner. The US Army requested these for testing, and TACARM has provided these to satisfied customers around the since 2008. TACARM’s President expects the Ballistic Elbow Guard TM and Ballistic Knee Guard TM to replace foam pads currently used by military and law enforcement units around the world. TACARM is focusing on expanding sales by introducing these to retailers and distributors of tactical gear. It will also make these available to law enforcement agencies such as the FBI and the Department of Homeland Security for evaluation. TACARM also offers the patent pending Ballistic Combat Uniform TM (BCU), designed to be worn with a ballistic vest. It provides protection to the lower back, hips and upper thighs. The BCU allows the wearer to quickly add or remove ballistic protection based on mission requirements and environmental factors. Since 2006, the BCU has been protecting Americans serving in combat in Iraq and Afghanistan. 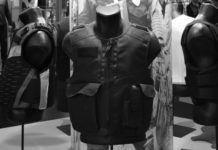 Established in 2005, Tactical Armor and Equipment is devoted to protecting American law enforcement and military personnel with unique ballistic protection. The President, Matt Sonner, served in the US Army to include the Ranger Regiment and Special Forces. After 23 years of service, Major Sonner retired from the North Carolina Army National Guard. TACARM is a Service-Disabled Veteran Owned Small Business and is located in Fayetteville, North Carolina.